Stilt Inc. co-founders, Rohit Mittal, left and Priyank Singh. Stilt, a Silicon Valley start-up, founded by Columbia University roommates Rohit Mittal and Priyank Singh, is offering loans to H-1B and students visa holders or other non-immigrants in the US. Many financial lenders are hesitant about loaning non-US citizens money because of the risk of payback if the applicant leaves the country. Stilt wants to help. Around 4.5 million expats are in the US on long term visas (H-1/F-1/J-1/L-1) from all over the world. About a million of these are students, majorly from China, India, and Korea and spend $30 billion on education, Stilt research reveals. And while many are well-qualified for jobs in the country after graduating, they don’t have access to the credit score needed to obtain loans to pay for a car, home, or anything else. Stilt wants to solve this problem by giving financial assistance of up to $25,000 to foreign nationals. But in lieu of the credit history, the average US citizen has, the company considers a person’s job history, college transcript, visa status, social media profiles, and bank accounts to determine someone’s creditworthiness. All of this information is entered into Stilt’s algorithm, which will assess whether money should be lent out. 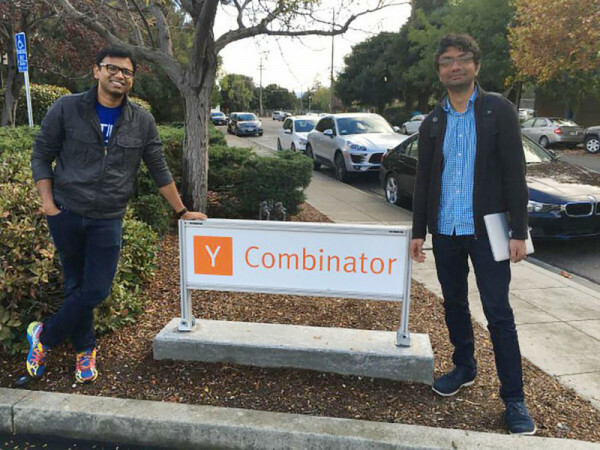 Rohit Mittal and Priyank Singh started Stilt while at a Startup Weekend event. “We participated … to just test the idea of a better credit risk data models for expats,” they were quoted as saying in newsreports. They were awarded top honors for their effort, but the project sat dormant for the next few months. Interestingly, Stilt probably wouldn’t have happened had the cofounders not noticed that people were creating profiles on the site. Eventually, Mittal and Singh took action and started giving out loans using their own savings. Ultimately they resorted to asking their friends for help before applying to Y Combinator, one of the leading Silicon Valley incubators. Now the service is live to people living in New York state, where they can request a personal loan of up to $25,000. Mittal said they chose New York, despite Stilt being based in San Francisco, because that state doesn’t require a license to loan up to $25,000 at an annual percentage rate of less than 16 percent. Regulations like this are in place to prevent loan sharks from preying on borrowers. The average repayment period is 6 to 24 months. Stilt has now expanded to offer its services in a total of 16 US states. Borrowers are charged an interest rate of between 7.5 and 15 percent. Stilt said that it supports transparent pricing; you’ll receive documentation explaining the loan term, the amount you’re eligible for, the interest rate, and everything else all up front. However, if you get rejected by Stilt, you’re going to know why — the company sends you a letter detailing why it denied you a loan. To date, Stilt has provided $300,000 in loans to 35 people. The average time for someone to be qualified is 1 to 2 business days. According to the Stilt team, they are able to provide low-interest rates by “Identifying high quality (low risk) borrowers and reducing default rates.” Because they ultimately consider data more than just an applicant’s credit history, Stilt is able to look at a lot more signals than a traditional bank to calculate your creditworthiness.